Major Gen. Ronald L. Bailey, commanding general of Marine Corps Recruiting Command, talks to teachers and school administrators Jan. 18 during the 2011 Recruiting Station Twin Cities Educators’ Workshop. 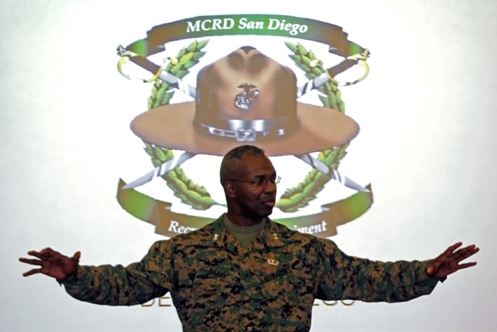 Bailey is also the commanding general of the Western Recruiting Region and Marine Corps Recruit Depot San Diego. Thirty-seven educators from Minnesota and North Dakota attended the workshop. For more photos of the event, visit the RS Twin Cities fan page at www.facebook.com/rstwincities.